Enjoy the luxury of traveling around the world just by checking the treasures app journeys. 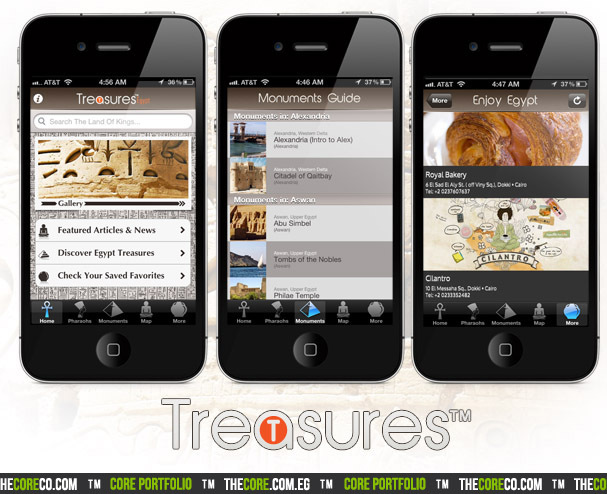 The Treasures first journey to Egypt takes you on a trip across the land of pharaohs, you'll see all monuments, locate all must-visit spots, and view the one of a kind gallery, and we'll show you all around like you're actually visiting. And by the way, keep checking, there will be more trips and journeys soon. Visit Treasures site and blog at TreasuresApps.com.